Rent A Port - Rent-A-Port, engineering and investment company in industrial zones. 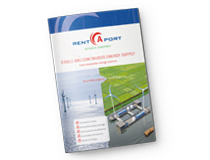 Rent-A-Port, your partner in marine developments and industrial zones. Rent-A-Port is an engineering and investment company, specialized in the development of marine infrastructures and industrial zones. Through its shareholders, Rent-A-Port can fall back on a wealth of in-house experience in the analysis, design, construction, development and management of port, logistic and marine infrastructures as well as industrial zones worldwide. Via Rent-A-Port, the combined experience of the four large and efficient Flemish Ports of Antwerp, Zeebrugge, Ghent and Ostend is at your service and can be called upon whenever you wish. including navigational aids and hydrographical services. Rent-A-Port enables you to finance your port infrastructure while keeping it “off balance sheet”. 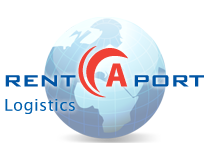 Rent-A-Port is specialised in tailor-made B.O.O.T solutions and can help you to finance your complete infrastructure and organise your logistics so that you can focus on your core business. On April 6th 2019, DEEP C Industrial Zones were honored to receive the Golden Dragon Awards with the theme “New Prestige, New Opportunity”, the largest annual awards ceremony hosted by Vietnam Economic Times in recognition of FDI companies with outstanding business achievement and significant contribution made to their industry and Vietnam socio-economic development. For detailed agenda, please click on the flyer.